Stir in Family and Friends because sharing food and tested recipes is Love. Yes, you have heard me correctly. It’s not as eccentric as meat & vegetables in Jell-O. This recipe was tried last month; I did not have a chance to post it as I was busy researching for a Disney-themed cake (Watch out for next post; birthday girls loved it). Recipe source: Retro Food Fiascos ISBN 1-888054-88-3 (Printed 2004, in Singapore); my copy was a cast-away found from a thrift-store. Recipe notes: I store shallots in my kitchen readily (for curries; etc), wherever onions are required. The original recipe called for onions, with no specific types. Personal preference: the original recipe also suggested the onions be added to the meat. I added to the banana mixture and it was still fine. 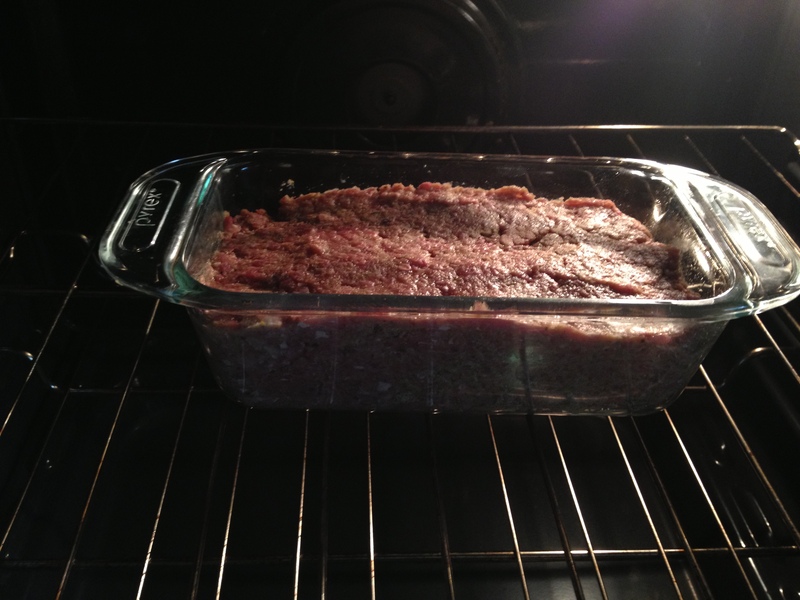 Future adaptations: I will add ketchup/barbecue sauce to the meat loaf, prior to baking next time. Preheat oven to 350F. Serves 4 to 6. 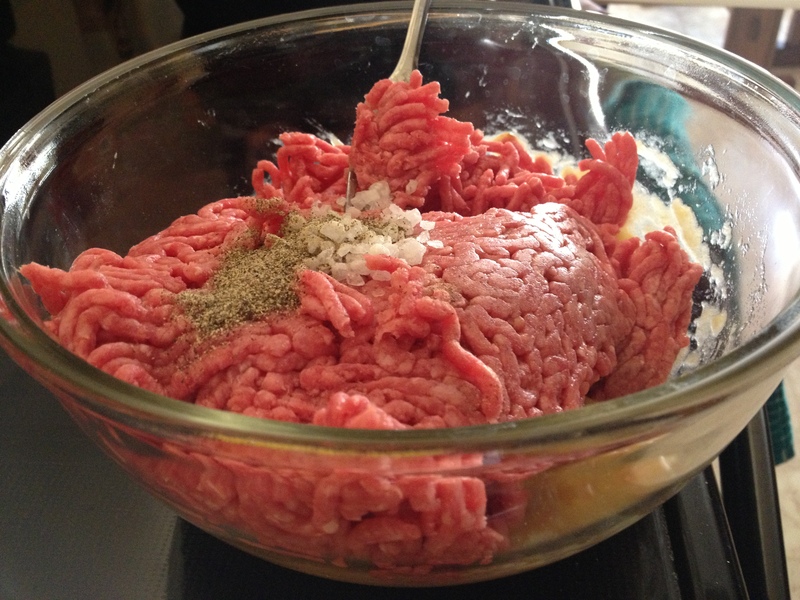 Mix meat, salt, pepper, and crumbs. Combine: bananas, onions, and mustard. 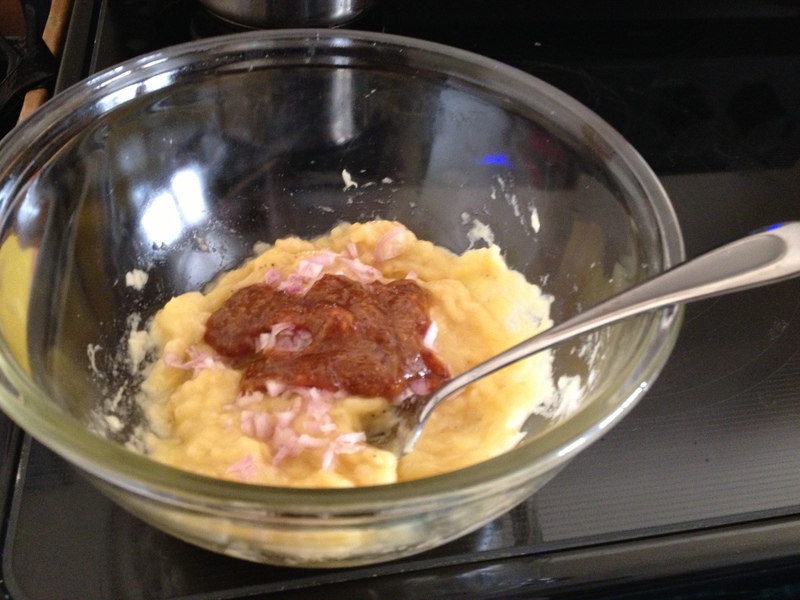 Combine bananas, onions and mustard; add to meat mixture and mix well. Place into a loaf pan. Bake for 1 hour or until meat is thoroughly cooked. Sorry, I just realized I didn’t take a picture of the final product, but it’s just meat-loaf! 😉 Easy-peasy? Let me know how your trials turn out! Cynthia Priest is a participant in the Amazon.com.ca, Inc. Associates Program, an affiliate advertising program designed to provide a means for sites to earn advertising fees by advertising and linking to Amazon.ca. Clicking on any of the Amazon links on this website to buy what you need will help create better content for this blog and create more tested recipes, which will in return, help you build kitchen confidence. Read what happened to a blogger who used photos without permission. If you are using and/or distributing any of Cynful Kitchen's recipes and/or images on any media, kindly please reference with the links from this blog. You must not use and/or adapt any recipes, blog content and/or photographs for commercial use without any permission. Send me an email, so we can arrange to talk.